Dimensions of mesh There are 12 products. 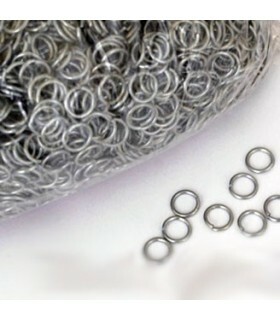 Zinc rings mesh bag height 9 mm. Bag approximately 5500 rings coated carbon steel zinc. Diameter: 9 mm. Ring thickness: 1.6 mm. 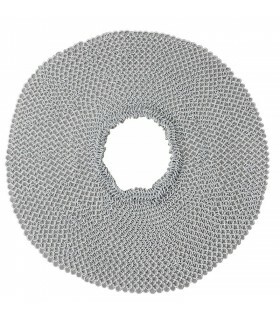 Ideal for repair or creation of chain mail. 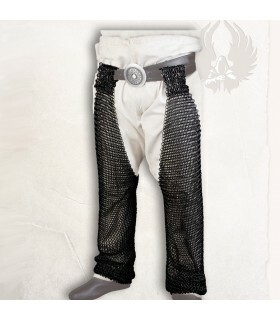 Legs medieval chainmail used during the XI-XV centuries. Mesh legs are made entirely by hand of interlocking metal rings and leather straps bear to be adjusted. These pieces completely cover the legs. It includes partner. Cota medieval mesh made of steel. Circumference rings 8 mm. Standard size. 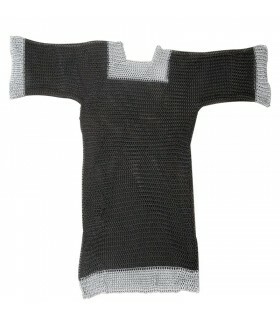 Authentic medieval chain mail, made with black carbon steel sleeve with 8 mm rings. galvanized mesh bag ring height 9 mm. 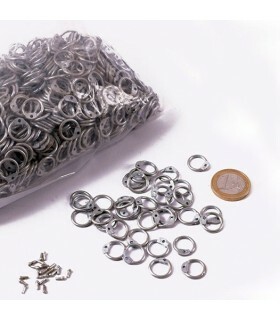 Bag of approximately 1460 galvanized steel rings including rivets. Diameter: 9 mm. Ring thickness: 1.5 mm. Ideal for repair or creation of chain mail. Lorraine Hamata Roman legionary made with 8 mm steel rings. diameter. The shoulder cover is edged. Chainmail in two colors. 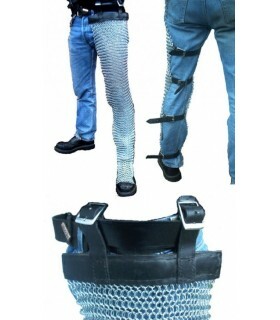 Chainmail defense has been the most commonly used body through time. What is a chain mail? A mail or chain mail is like a shirt or a tunic, like an iron, steel or aluminium armour, used to protect from the attack of bladed weapons. Its resistance depends on: kind of riveted, material, density and thickness of the rings. How much does a chain mail weigh? The weight of a chain mail depends on the size, the material and the thickness of the rings, but we can say it weigh aproximately 18-33 lbs. (8-15 Kgs.). 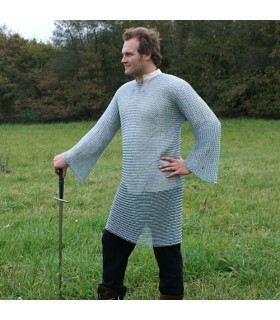 Who used to wear the chain mail? All the cultures that worked with the metal, used to make their own chain mail. Nowadays it's only used for the historic recreation and LARP. 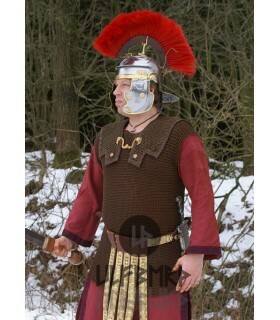 Lorica Segmentata and Lorica Hamata were similar to chain mail and they were used by the Romans. 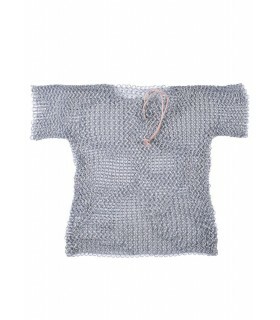 In the Middle Ages, the chain mail was worn with a camail (or aventail). 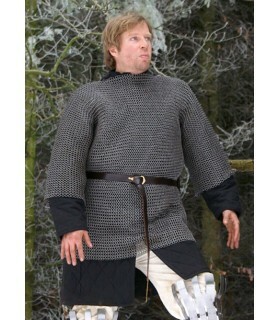 Wear a chain mail is not so easy because of its weight and the help of another person is suggested. Nowadays there are a lot of imitation that are lighter, and they're made of aluminium. 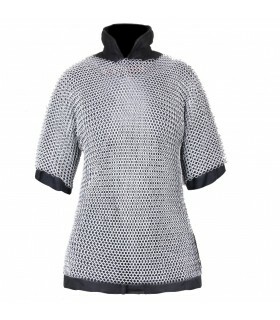 If you need any help to choose your original Medieval chain mail, we'll be happy to help!